I've been rewatching Space 1999, mostly as an exercise in nostalgia and to amuse my inner child. 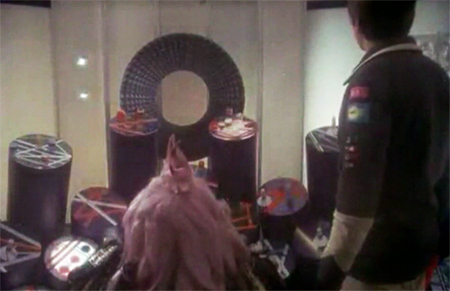 My inner child loves her some Space 1999. It's not a terribly deep or esoteric show, particularly by the second season. But every so often it wanders into an intriguing archetype. The other night I was watching "The Taybor." Taybor is "an inter-galactic merchant [who] arrives from hyperspace on his ship the 'Emporium.'" He is a silly character and the episode is largely quite silly but I was taken with their depiction of the hyperdrive that allowed him to move anywhere in space. 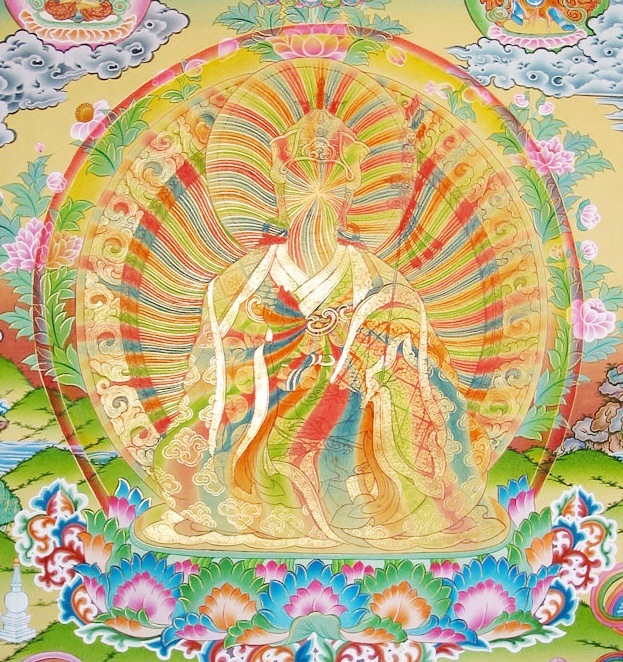 What immediately came to mind for me was some of the Tibetan art showing the rainbow body as explained by William Henry here. 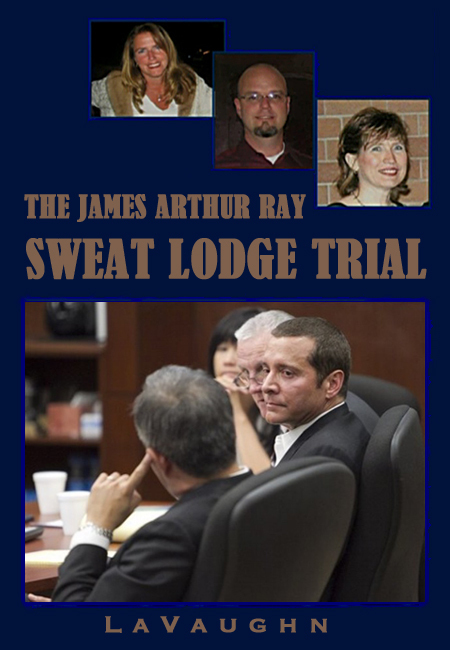 A few key images illustrate my thinking. 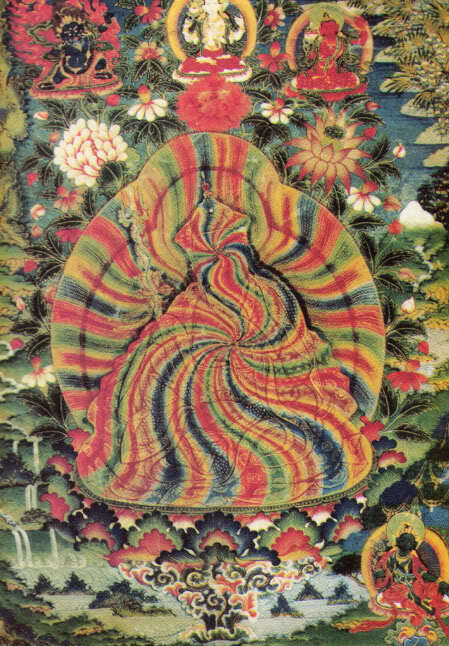 First is the Tibetan image of the Rainbow Body. 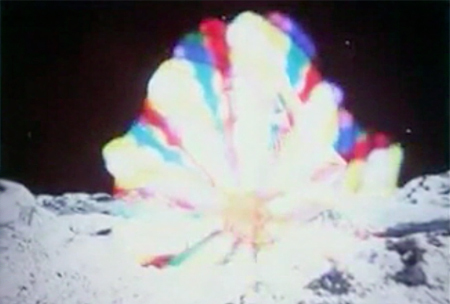 In the Tibetan Great Perfection tradition, the mortal coil can be spun into a higher frequency, ultimately dissolving and manifesting as five colored rainbow light. 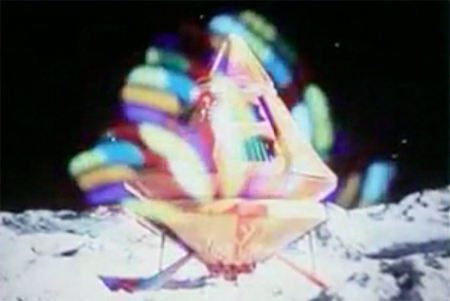 The resulting ‘Rainbow Body’ is considered the highest form of human spiritual attainment.